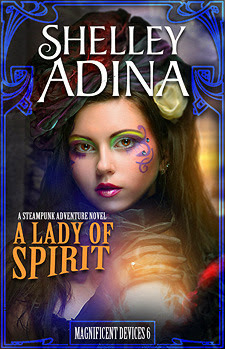 A Lady of Spirit is Book 6 in the Magnificent Devices series! 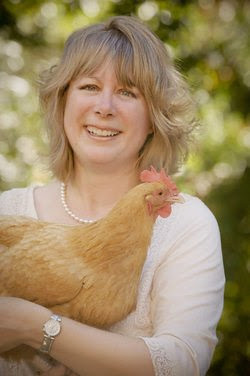 RITA Award-winning author and Christy finalist Shelley Adina wrote her first novel when she was 13. It was rejected by the literary publisher to whom she sent it, but he did say she knew how to tell a story. That was enough to keep her going through the rest of her adolescence, a career, a move to another country, a B.A. in Literature, an M.F.A. in Writing Popular Fiction, and countless manuscript pages. Shelley is a world traveler who loves to imagine what might have been. Between books, she loves playing the piano and Celtic harp, making period costumes, and spoiling her flock of rescued chickens. You can buy all six of the Magnificent Devices books at Amazon.